This entry was posted in LGBT, Montana Politics and tagged angels, angles, Bigotry, David Howard, facebook, grammar, Montana, Park City, public official, punctuation, religious intolerance, Republican, Spelling. This is not what Montana Needs! Another GOP person who is willing to take away rights from people. I am perfectly comfortable with the Gay Community having the same rights as anyone else. They are part and parcel of a much needed diverse community! “His Facebook page is like that creationism amusement park in Kentucky- not a fact in sight.”- It reminds me of his legislative testimony. No facts to be found anywhere. “Using marijuana is like taking valium with your arsenic. You feel good until you die”- Rep David Howard. 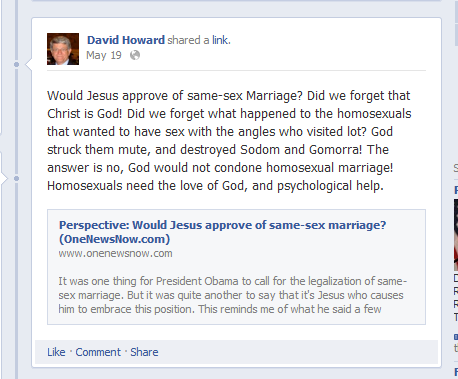 David Howard’s Facebook wall is a bonanza of bigotry and I’m constantly embarrassed that ANYONE elected to our legislative body would consider posting the hateful rants he does, especially under the guise of religion. A simple Google search proves him wrong. Mind you – this man met Irvin Rosenfeld – the Federal Medical Marijuana patient who has been receiving cannabis from the federal government for 29+ years. I know – I introduced them. Irvin is not dead……so much for the arsenic theory huh? GOD FORBID you feel good! God doesn’t want you to feel good right??? Apparently in David Howard’s world – God wants everybody to be miserable. 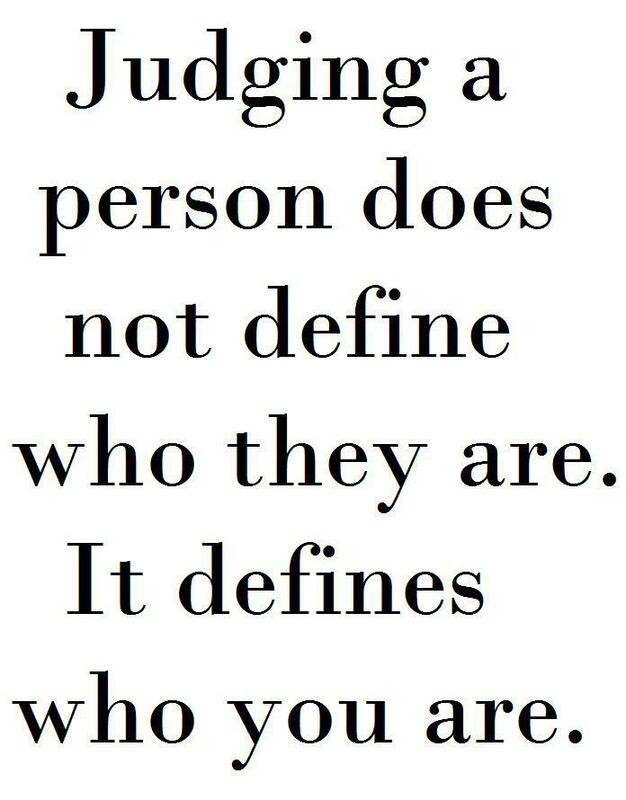 Especially if they are sick. See my comments on this post. What a creep – on SO many levels. The Bible doesn’t say what the problem with Sodom or Gomorrah actually was. It could have been they were full of religious bigotry, for all we know. Jesus didn’t say a word about homosexuals. Every sentence in that FB post is a dose of absurdity sprinkled with hate. Hard to believe such nonsense would be spouted publicly.